One of my absolute favorite things is to make dinner and/or baked goods for my friends. 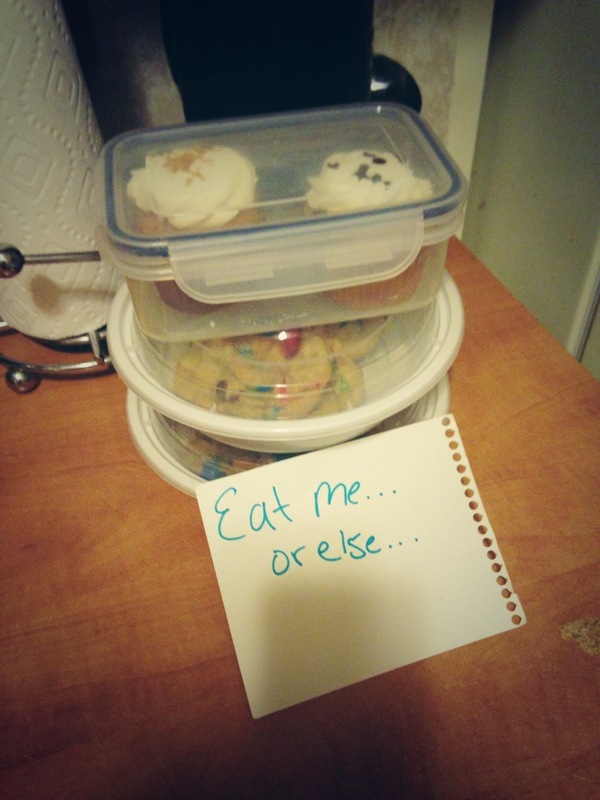 I am notorious for forcing Tupperwares of leftovers on people. Here, I just wanted to make sure everyone got some treats! 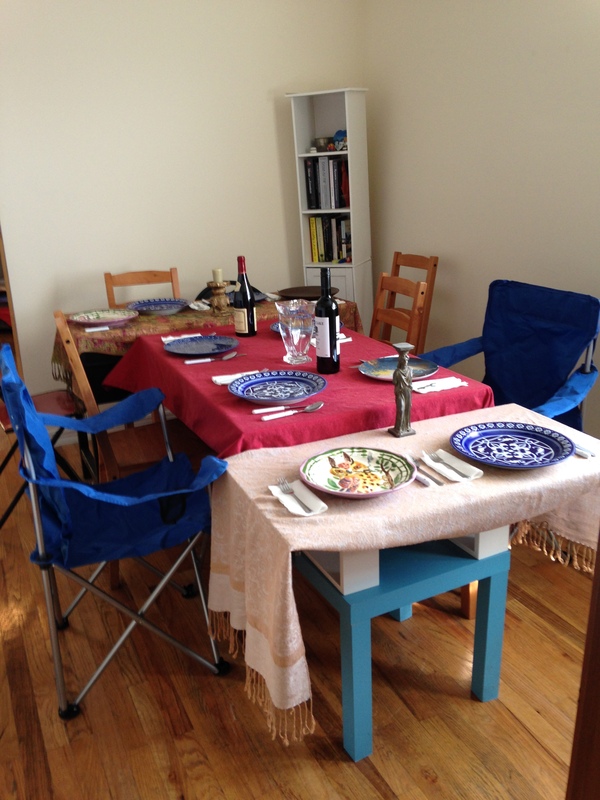 This past winter, I held a dinner party. I managed to make a total Frankenstein’s-monster-esque table. 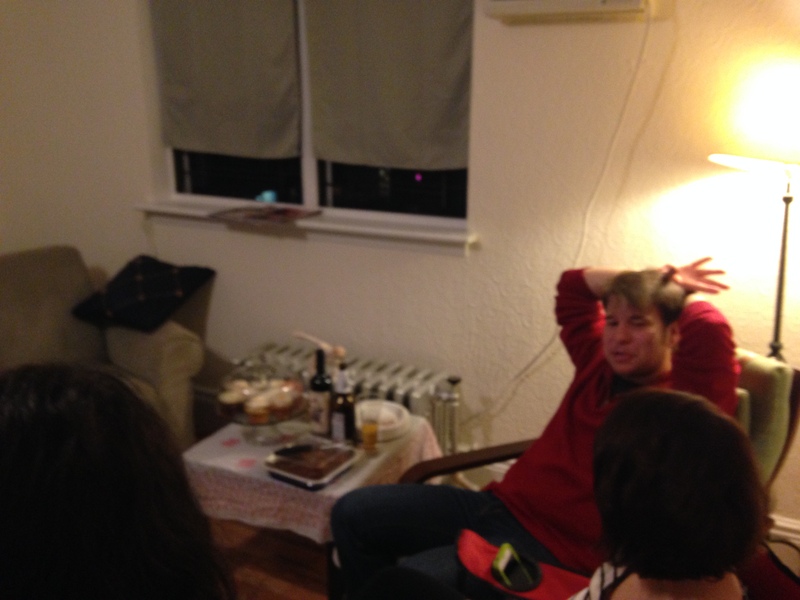 Yes, by the end of the evening I managed to squeeze 13 people into a Brooklyn-sized dinning room. Although, to be fair, that end part wasn’t completely structurally stable. No elbows on the table! None of the flatware or plates matched, but luckily that mismatched look is really in now. When I buy new dishes, I usually keep them in the blue-family to at least coordinate. Everyone enjoying some appetizers before dinner. 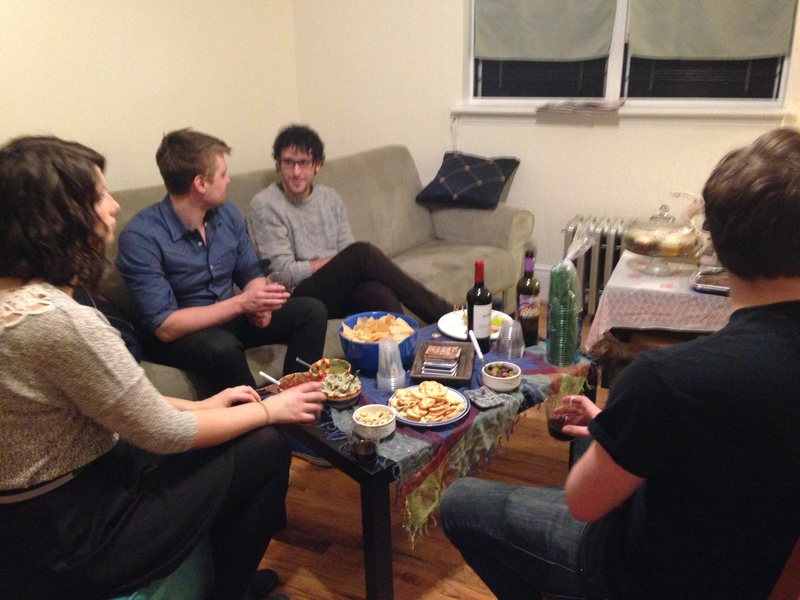 To make things more manageable, I had everyone bring something, either a wine or an appetizer, salad or desert. No one went thirsty in this crowd. I made the main course (a mac and cheese obviously) and vegetable dish. The mac and cheese was from the cookbook Melt. I selected one that could be made ahead of time, then just baked once guest arrived. I also prepped the roasted vegetables ahead of time so that I wouldn’t spend the whole night in the kitchen. Sadly, I did not take a picture of the food, but it turned out marvelous. One of the keys to a great mac and cheese is buying really great ingredients. The recipe called for a pancetta, but I found an excellent thick cut bacon as a substitute. People went wild for it! I am about due to host another cocktail party (which I love doing even if they never quite work out the way I planned) or dinner party, but it is so hard to get motivated in this heat! I need to plan a picnic or do some sort of no-stove dish. 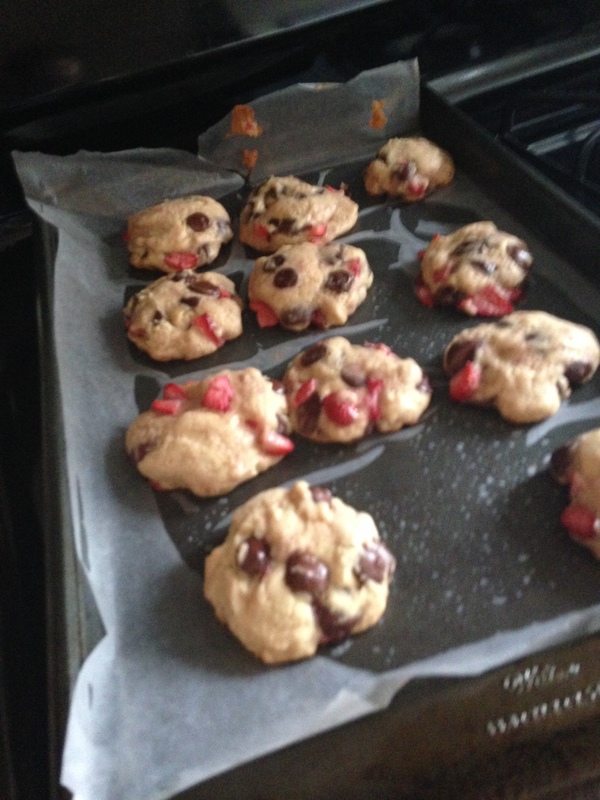 Here are the infamous Strawberry Chocolate Chip Cookies. I wish I could take credit for the recipe, but that is all Sydney at Crêpes of Wrath. Her blog is one of my favorite food blogs and actually a great resource for awesome bars and restaurants in the North Brooklyn area. The greatest part about these cookies is that there is more “stuff” than cookie, it is basically chip and strawberry held together by an excellent soft dough. They are easy to make and always a crowd pleasure. You should keep them in mind now that it is strawberry season! Next Post Mountain State Brewing Co.